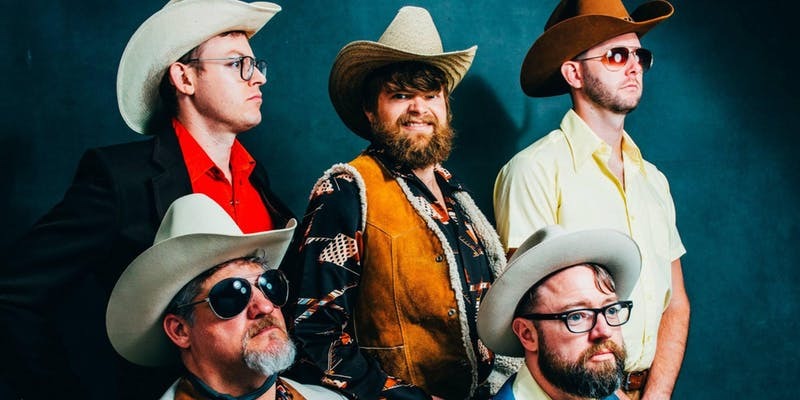 The Cleverlys are a one-of-a-kind comedy/music blend coming from the remote part of the Ozark Mountains, near Cane Spur, Arkansas. Digger Cleverly, along with his nephews Ricky Lloyd, Sock, DVD and Cub, make up The Cleverlys. They have traveled the globe, if the globe only consisted of the United States, performing at music venues and some of the nation’s largest festivals like Stagecoach, Telluride, CMA Music Fest and even the Grand Ole Opry. The New York Times wrote, “If Earl Scruggs, Dolly Parton, and Spinal Tap spawned a litter of puppies, it would be the Cleverlys.” Don’t be fooled by this faux-family band – they are all accomplished musicians putting their unique bluegrass spin on cover songs from any genre. The Cleverlys’ set list includes genius arrangements of tunes like Psy’s “Gangnam Style,” a medley of Blackstreet’s “No Diggity,” and Flo Rida’s “Low” that recently went viral on Facebook, with over 11 million views from a local TV appearance. What sounds better than a night with your sweetheart and The Cleverly’s at Puckett’s!? Come out and join us for a special Valentine’s dinner and a show at Puckett’s Murfreesboro. We will be serving a limited 3 course menu beginning at 6 PM with The Cleverly’s beginning at 7 PM. Tickets will be $80 for a couple ticket or $45 for a single. Bring your loved one or a group of friends. Either way this Valentine’s Day will not disappoint with this entertaining group!